The first evidence for modern humans leaving Africa comes from the Levant, where the caves of Mugharet es-Skhul and Jebel Qafzeh (Israel) have yielded the remains of over 20 individuals, many of whom appeared to have been intentionally buried. The remains have been dated to between 110,000-90,000 years ago on the basis of ESR and luminescence dating. Though possessing some archaic features such as robustness, they are essentially modern, anatomically lying within the range of Homo sapiens. However Neanderthal burials are known from much later at Kebara, Amud and Tabun (Israel), dating to between 60,000-50,000 years ago; and Shanidar Cave (Iraq) and Dederiyeh Cave (Syria) dating to as late as 45,000 years ago: this suggests a later re-occupation of the region by Neanderthals. Modern humans had returned to the region by 35,000 years ago, and possibly as early as 45,000 years ago. The likeliest explanation is that the ranges of modern humans and Neanderthals fluctuated back and forth in accordance with climate change. Whenever the climate was warm, the region would be occupied by modern humans; when it was cool it would be occupied by Neanderthals. Faunal evidence shows that in cooler times Palearctic fauna spread down from Europe, but when the climate warmed Afrotropical fauna would move in and replace the Palearctic. The two human species were merely “going with the flow” like any other animal species. 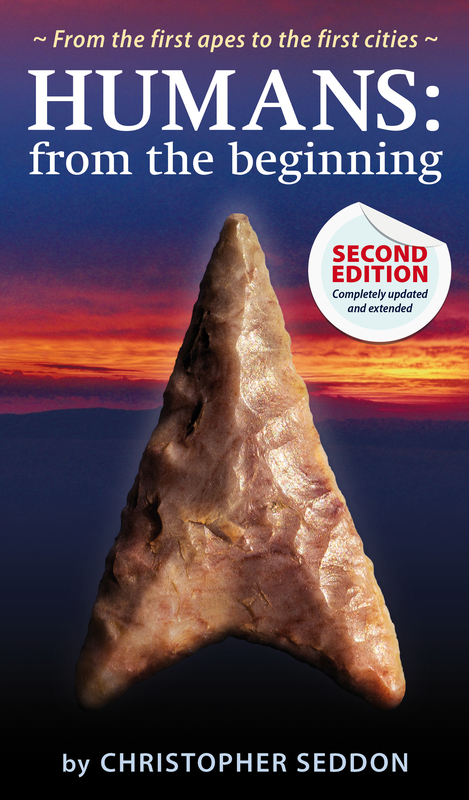 The lithic technology employed by both human species was, up until 50,000 years ago, very similar, being fairly typical Middle Palaeolithic/MSA and it has been described as Levalloiso-Mousterian, dominated by the Levallois reduction technique. Lieberman & Shea (1994) suggest that hunting strategies between the two species did in fact differ. Analysis of seasonally-deposited cementum in the teeth of mountain gazelle and other ungulates indicates that the Neanderthals hunted these animals over both dry and wet seasons, but modern humans only hunted them during the dry season. Analysis of the lithic hunting technology further suggests more extensive hunting by the Neanderthals. Far more points are found at Neanderthal sites; these show greater signs of wear; and raw materials were procured only a short distance away from each site. Lieberman & Shea interpret this to mean that the Neanderthals practiced a locally-intensive “radiating mobility” strategy. Their activities were primarily organized from large general-purpose sites, with more specialized or seasonal activities being carried out at smaller sites on the periphery of the main one. By contrast, the modern humans practiced a seasonal-based “circulating mobility” strategy, living at different sites at different times of the year to facilitate exploitation of seasonal resources. Both strategies have their pros and cons. The “radiating mobility” strategy permits an increased capacity for storage and investment in material culture (site facilities and hard-to-transport items). The main problem is that resources around the central camp become depleted due to year-long exploitation and a law of diminishing returns begins to effect hunting and foraging activities. The “circulating mobility” strategy avoids these problems by ability to relocate to sites near periodically-abundant resources, which will then have a year to recover after the group have moved on to the next site. The drawbacks are that the group has to do without items that cannot readily be moved from site to site. These differing strategies may highlight behavioural differences between modern humans and Neanderthals, with the “circulating mobility” strategy arising from modern human behaviour (which it is inferred the Neanderthals were incapable of). Another possibility is that the heavily-built Neanderthals were not physically adapted for a highly-mobile lifestyle. The final, conclusive re-occupation of the Levant by modern humans, followed by their expansion into Europe has been taken to support the “Big bang” theory of behavioural modernity arising only 50,000 years ago, after which modern humans were able to overcome the “climate barrier” and move into Europe. This theory is however predicated on a modern human migration out of Africa proceeding via the Levant rather than taking a southern route across the Red Sea, a possibility rejected by some authorities such as Stephen Oppenheimer (Oppenheimer, 2003). Daniel E. Lieberman and John J. Shea (1994): Behavioral Differences between Archaic and Modern Humans in the Levantine Mousterian, American Anthropological Association. Oppenheimer S (2003): “Out of Eden”, Constable.